Does anyone here ride a skateboard? I think want to get one to practice stance and balance for surfing but I know nothing about skateboards. I googled something like "how to buy a skateboard" but the options are mind boggling . . . .different shaped decks, wheel placement etc; I have no idea what I should be looking for. I have no desire to go downhill on the thing, basically just riding on flat pavement so I'm guessing I don't want a longboard? 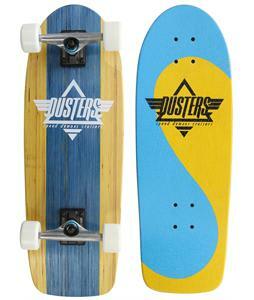 Any suggestions on what a beginner skateboarder should be looking for? Length or any other parameters? Personally, no, but my BF recently quit his job and is working on setting up a longboard deck manufacturing factory in our town. I'll ask him. Stay tuned. @NewEnglandSkier do you longboard or short board when you surf? There is no direct substitute for surfing; however, there are boards that get close. Many will claim to be the best snowboard or surf cross trainer but that is marketing BS! It all comes down to preference. I would suggest a longboard, with standard longboard trucks. (52 degree 180mm or similar) and any deck of your choice, it really is a preference thing if you are not into doing 113km/hr, and even then beyond the science, there is personal choice and riding style. For a newbie, it really doesn't matter. 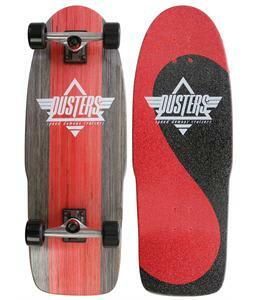 As for wheels, get longboard wheels not street skate wheels, they ride much smoother and are much grippier. (70 to 80mm would be my suggestion, nothing smaller! 78a or 80a durometer.... which is wheel hardness). If you're a bigger guy [apparently Diva Dude missed the part where you were a Ski Diva and therefore not a big guy], 200lbs plus, I would recommend 10mm axles in your trucks, and then of course 10mm bearings. The standard size is 8mm. The 8mm axles are always bending which make the board less stable. You may never notice if you're just cruising. Always always always get a helmet and slide gloves!! Slide gloves are a work glove and high density plastic on the palms, ( or mom's old cutting boards ) WHEN you fall, not if... you will put your hands down, the slide gloves will protect your hands, AND will keep your shoulders from dislocating which is a common injury for those you dont wear SLIDE gloves. You can find these at shops, or make them your self..... google it, it's really easy and worth every cent. You will not regret your long board purchase, I have been riding with gents that STARTED once they retired. Its a great way to commute. With all that being said if it's only balance you're looking for, fill a 2 liter pop bottle with water, tighten the cap extra tight and lay it on the floor, then borrow the front of your mom's dresser drawers and dalance on the pop bottle! Any peice of wood will work if your mom is sensitive about her dressers. They are usualy oak and look super cool. This is called a homemade bongo board. They are good in the winter. But so is telemark skiing which is much cooler and life chaging. I recommend that! Good luck! WaterGirl- for surfing I longboard. I'm a beginner/advanced beginner surfer. The surf camp I am considering recommends skateboarding as a way to "train" for surfing when not actually able to do so. So I figured I'd try to pick up a skateboard. Ringrat- thanks so much for this! This is very helpful. 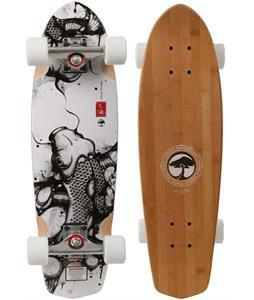 So it sounds like a longboard is what I want after all! push ups etc-- any core/upper body or lower leg strength training will help. The board in the pictures belongs to DH and is 30" by 10." Ringrat's Diva Dude has good points about safety/ gloves; and the size and durometer of the wheels. The HOUSE has some good cruiser boards and great prices http://www.the-house.com/skatec.html -- here are 3 suggestions... the Arbor is the skinniest; the red duster is the widest - if you just wanted a basic board to play a round on, really you can't beat prices with the free shipping and a "free gift"
Sounds like you DO want a long board. Did any of you see the new Patagonia catalog. Now there's snow surfing! My bootfitter, who is really in to body mechanics, was just telling me how good skateboarding is for skiers. One thing that helped me alot with stance and balance was actually yoga. The core control combined with the mind body connection has helped me a ton with knowing where I am in space or where I am standing on the board and making adjustments. The hip mobility and flexibitly have made a huge difference in adjusting my weight. What really helps is the gazing though, I can look where I want to go without looking down at my feet and it's amazing what will knock you down when you are looking at it, compared to what you can balance through when you are looking up and can't see it.